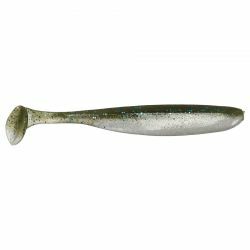 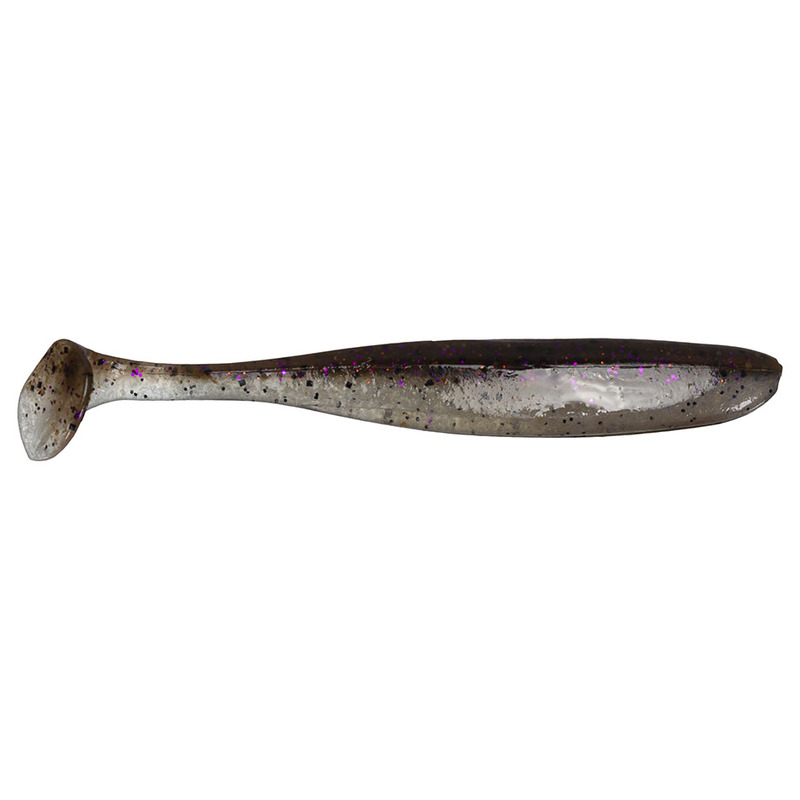 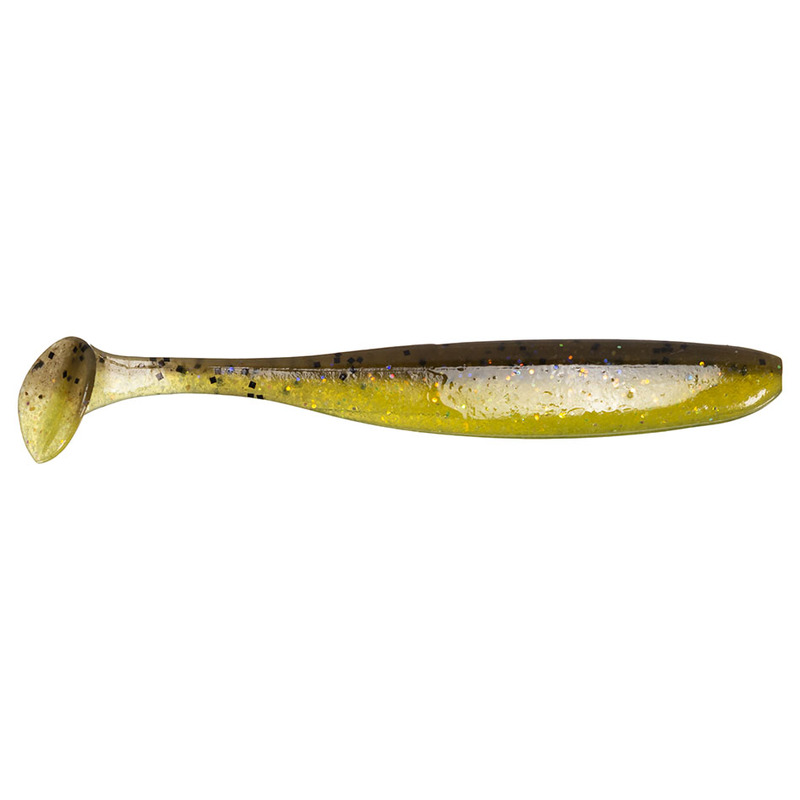 The Easy Shiner is a shad shaped swimbait with legendary Keitech swimming motion. The Easy Shiner has a wide-wobbling rolling action that drives predator fish wild! 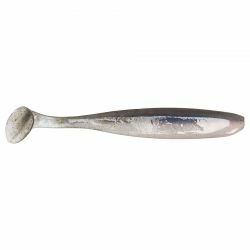 These versatile swim baits come in seven sizes to match any fishing conditions. Keitech’s original two-tone injection process uses different types of colored squid infused salted plastics to achieve fantastic balance and action. These baits can be fished many ways. 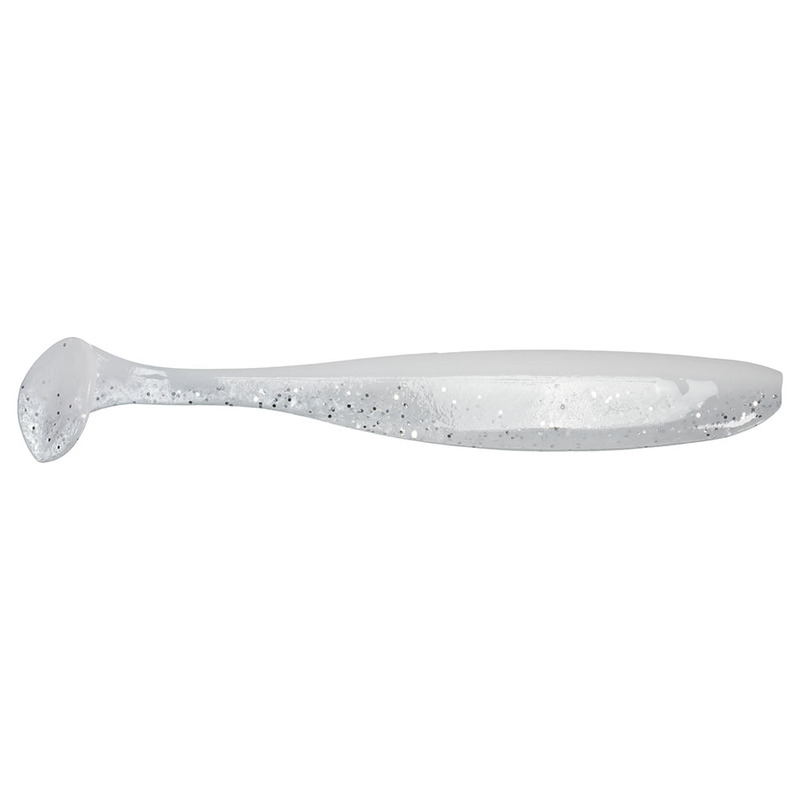 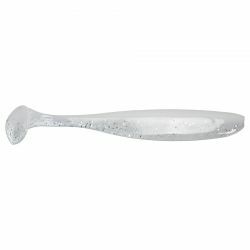 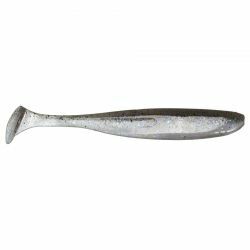 The 2" is an excellent choice for crappie and pan fish. 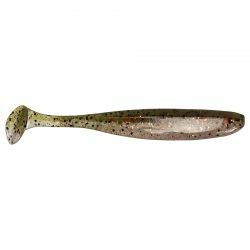 The 3” works great on a small Super Round jig head and the dropshot. The 3.5” & 4” have produced outstanding results on the Super Round Jig head. Adjust the weight to target the perfect depth and retrieve speed. Texas rigging works perfectly when fishing through aquatic vegetation. The Easy shiner is very durable and a favorite among those using the Alabama rig, with the wide size and color selection it’s easy to “Match the Hatch”. It pairs perfectly to a Chatterbait. Lots of big fish are coming on the 5” Easy Shiner on the Carolina Rig and this size also makes a great Saltwater offering. The 8” is the “King Daddy” of the group. 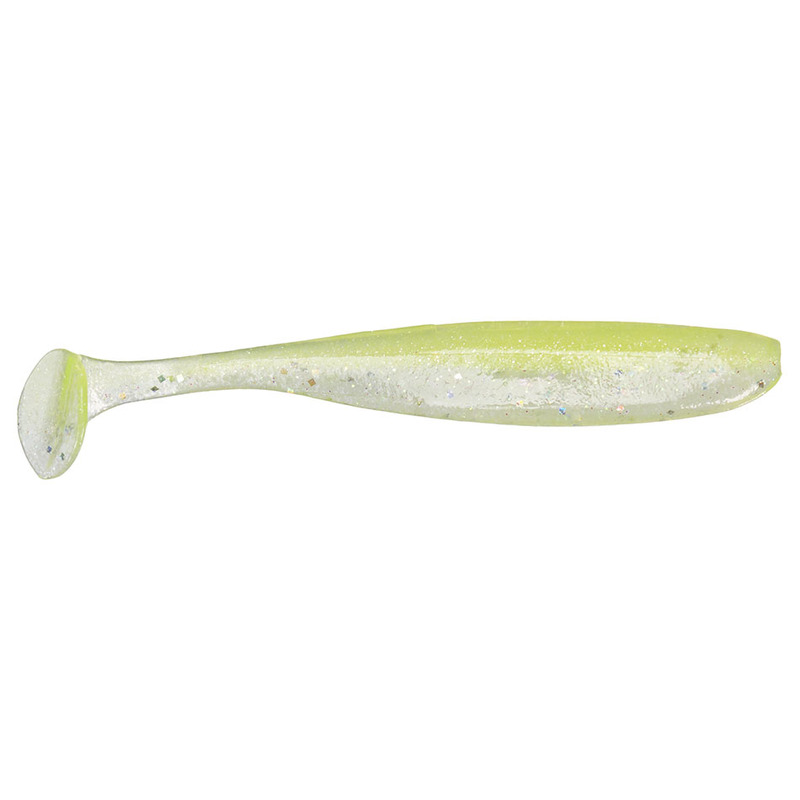 Weighing in at 2oz. each, the swim as perfectly as all the other sizes, A trophy hunter’s dream!! Rigged on a Keitech Super Round Jig head takes shaky head fishing to the next level. 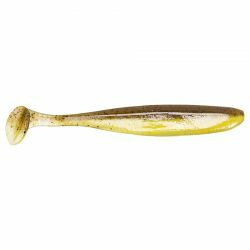 Adding a bullet weight to your Texas rigged Easy Shiner makes it completely weed less. 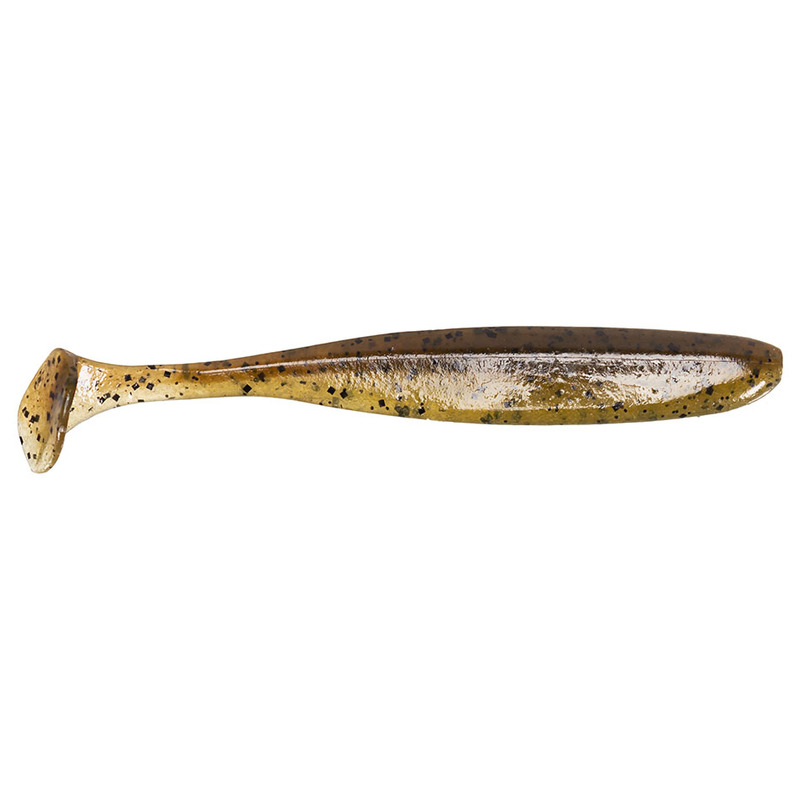 Keitech 's innovative, tournament tested swim tail gives the Easy Shiner incredible action. The small hook slots on both the top and bottom of the Easy Shiner indicate the perfect rigging position. Life-like swimming action is achieved through the finely cut sharp tail. 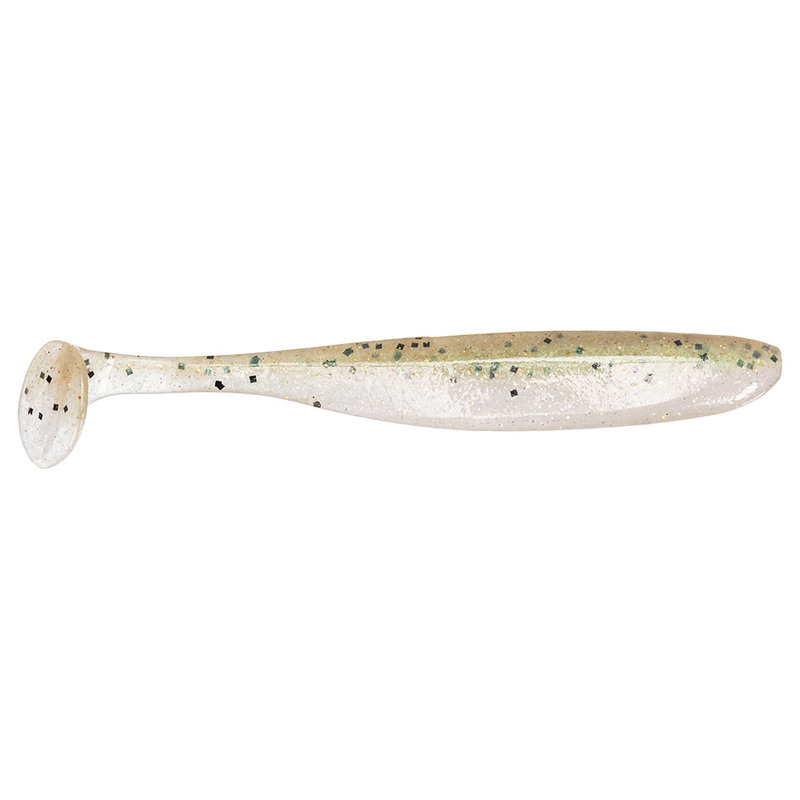 The Easy Shiner swims perfectly, even at the slowest speeds. Weightless Texas Rig - Texas rig on a wide-gap offset hook and work the Easy Shiner slowly around and over cover. Jig Head Rig - This method is Super-effective year round. 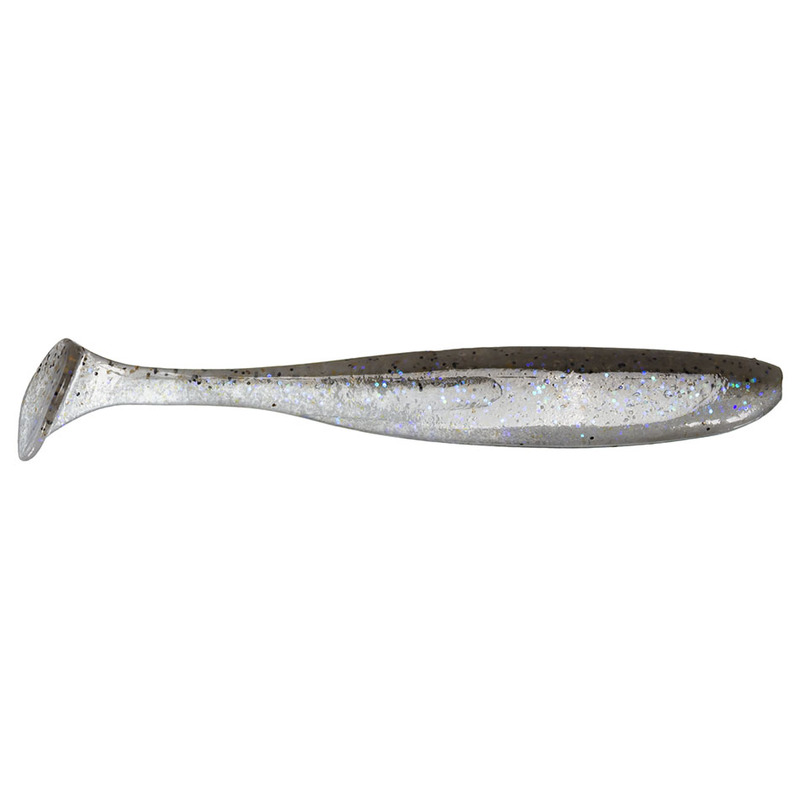 Fish the Easy Shiner on the straight retrieve or tick the cover for ferocious strikes. 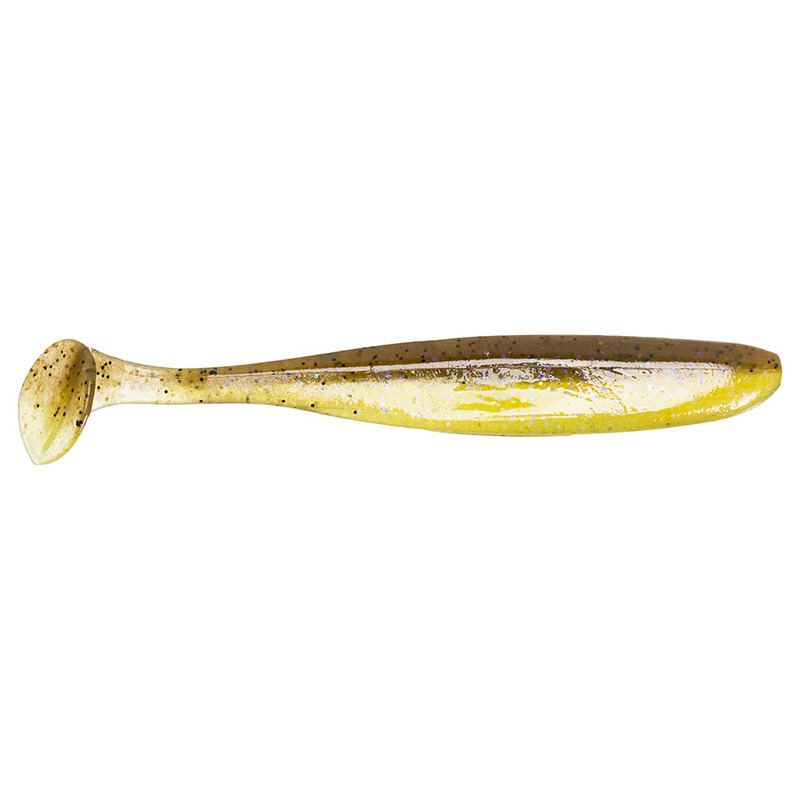 The Easy Shiner is quickly becoming the bait of choice on the Alabama Rig. Texas Rig - Texas rig the Easy Shiner for a more weedless presentation. Flip weed beds and heavy cover. 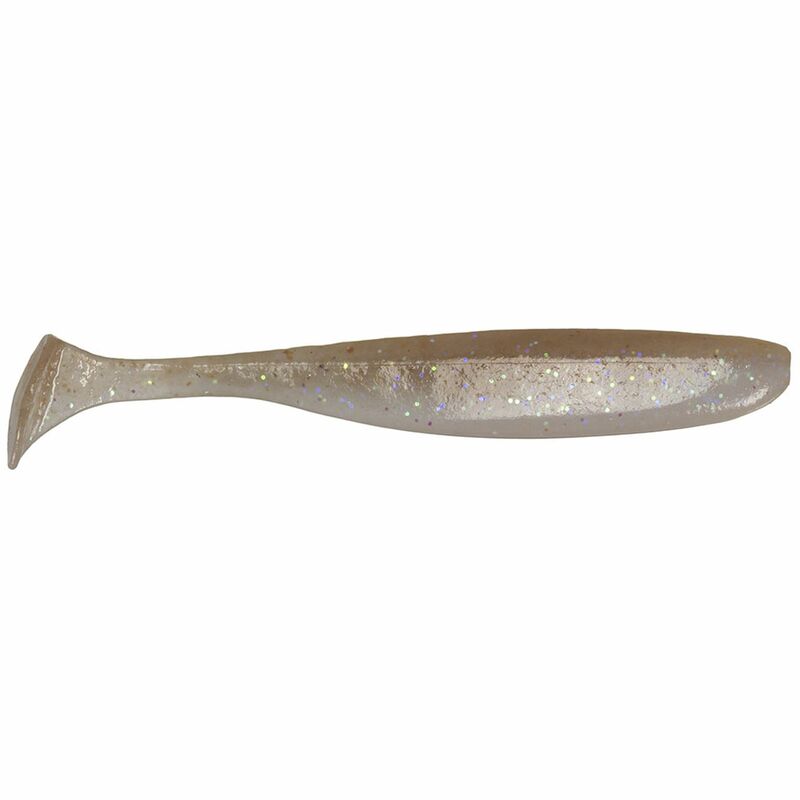 Carolina Rig - This is where the Shiner really shines. 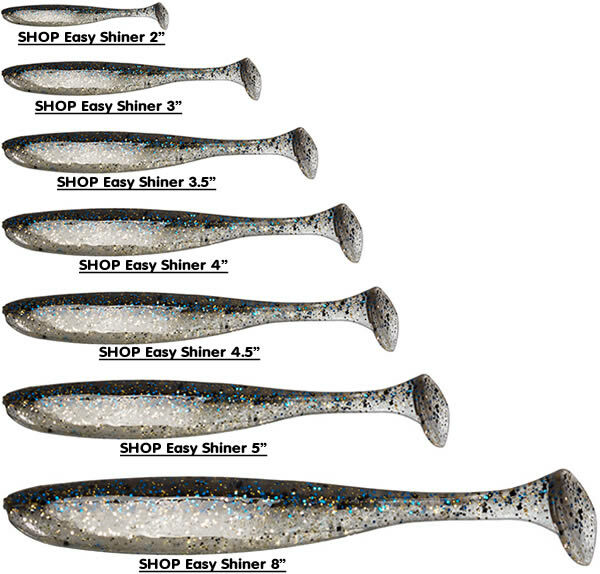 The Easy shiner will swim seductively at the slowest speeds. Add a split shot or Carolina rig to probe deeper structure.